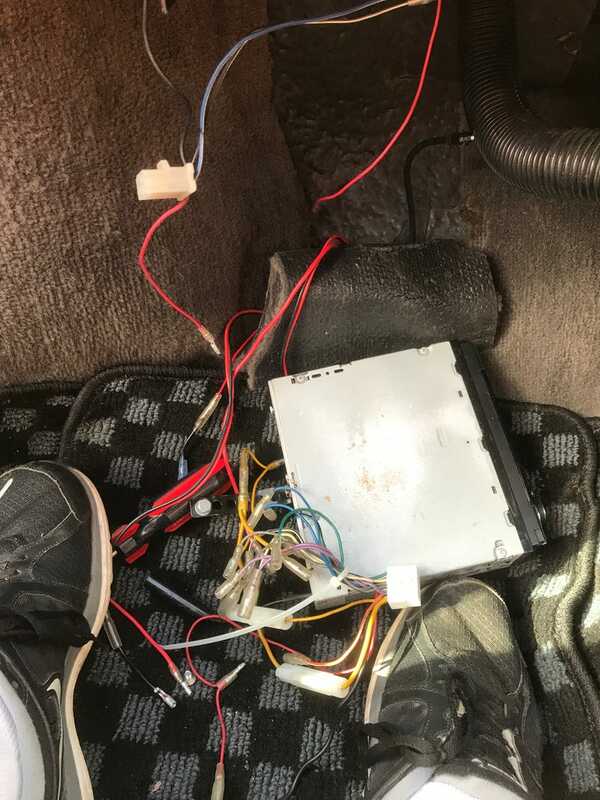 Replacing the stereo in the Mini. It had a Japanese model in it that doesn’t go high enough in the FM band to get most of our stations. This is the mess of wires that I am sorting through.